Massage chairs (842 and 702) will be repaired (parts and labor) if it is normally used and within one year of the date of purchase. 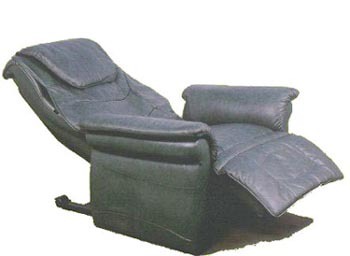 The chair has to be shipped to the corporate location by the customer and will be shipped back free of charge. After the first year, the 842 chair is warranted for an additional 2 years (702 one additional year). After the first year, the customer will be responsible for shipping the massage chair to the corporate office and shipping charges back to them. This warranty is valid for normal personal usage only and does not cover commercial or public facility usage. It is only valid to the original owner. Do not attempt to open the back of the chair yourself. Improper handling and/or repair of the chair will void the warranty coverage. The warranty does not cover natural disasters and irregular power supply damage (surges).